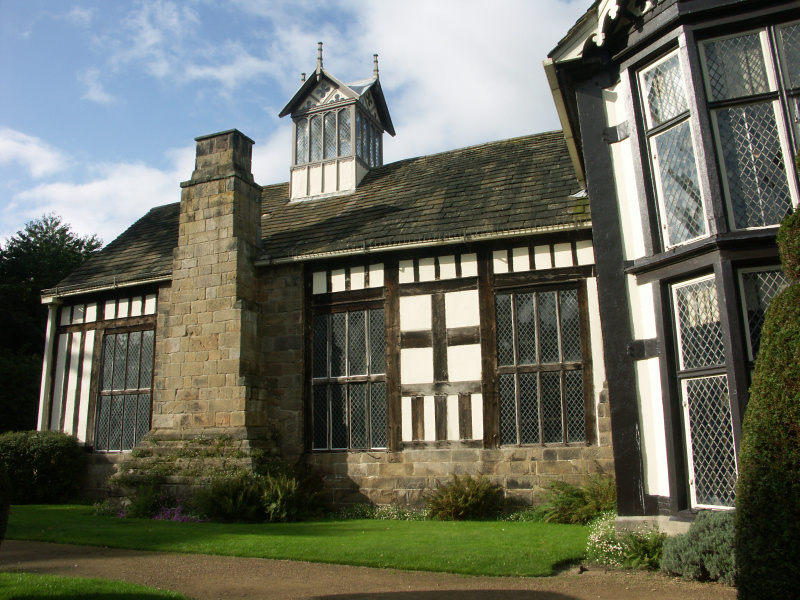 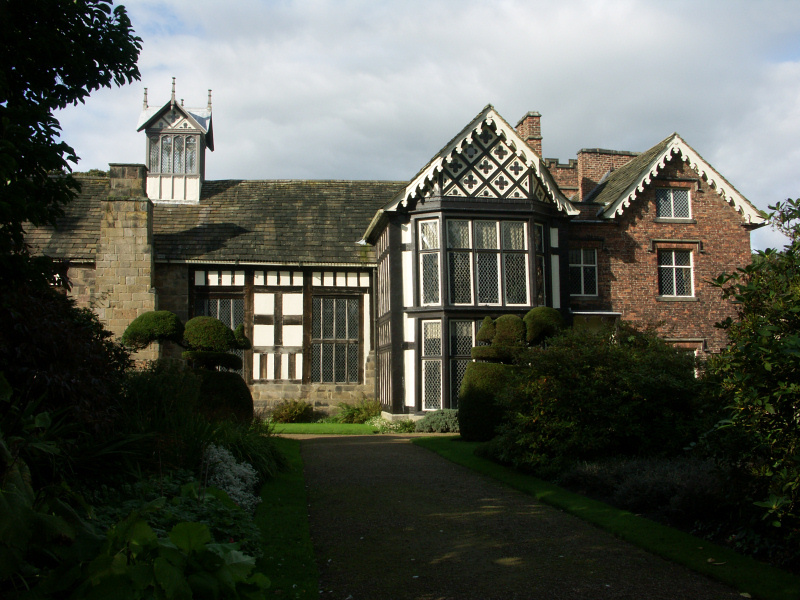 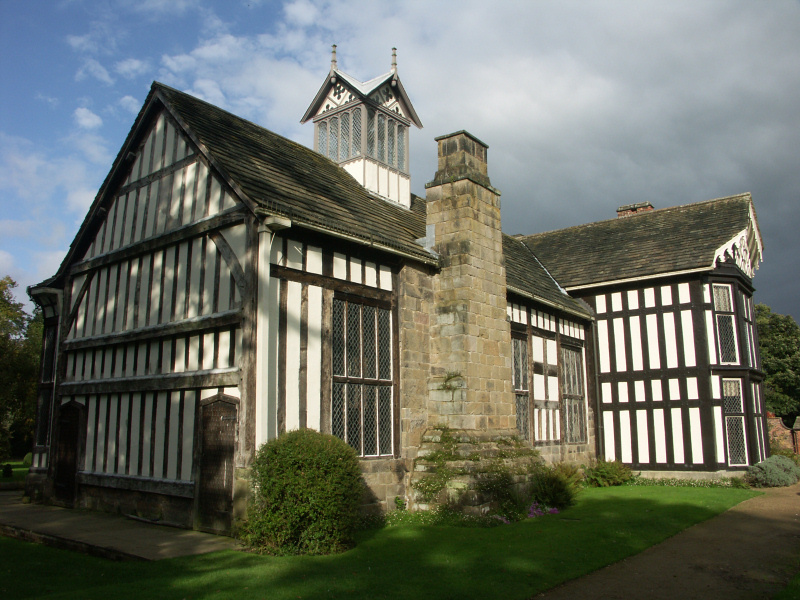 The first location from the county of Lancashire on the website is the National Trust's Rufford Old Hall located near Ormskirk. 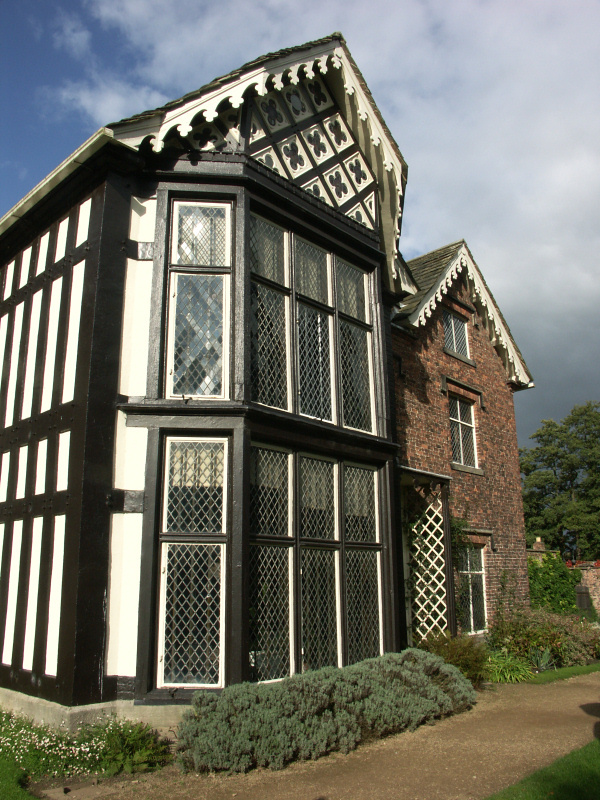 The part timber framed, part brick built hall was given to the National Trust in 1936 after 600 years in the ownership of the Hesketh family. 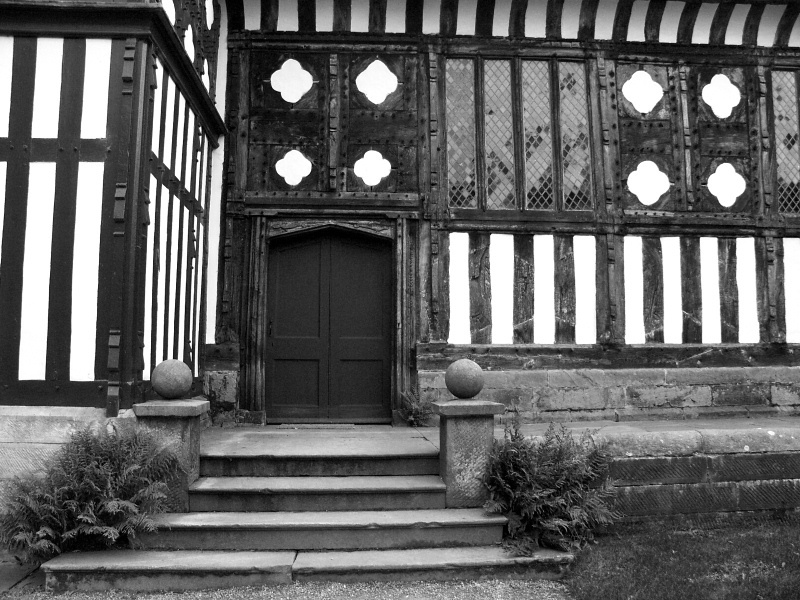 As in most National Trust properties no interior photography is permitted so only external shots of the hall are featured, dogs are permitted in the grounds only and not the gardens or hall. 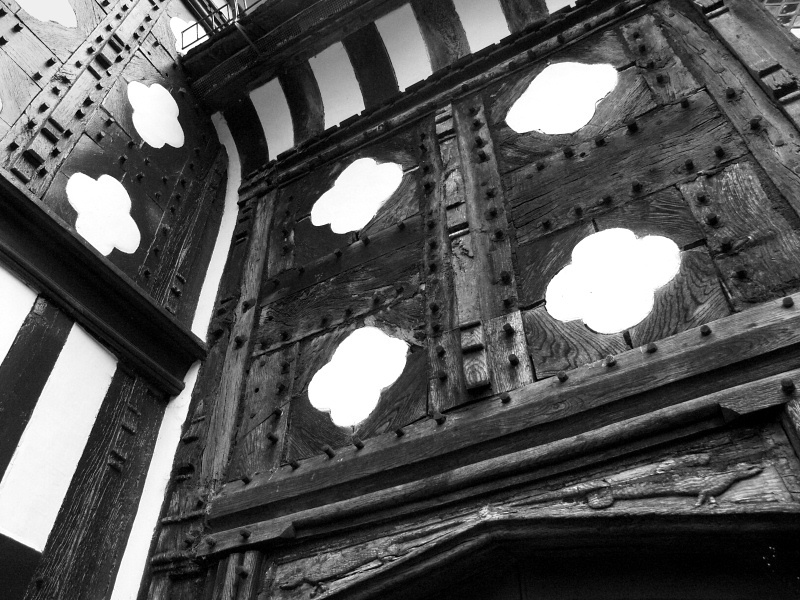 A young Shakespeare is said to have performed in the spectacular Great Hall at Rufford with its hammerbeam roof, suits of armour and weaponry and a huge intricately carved wooden screen. 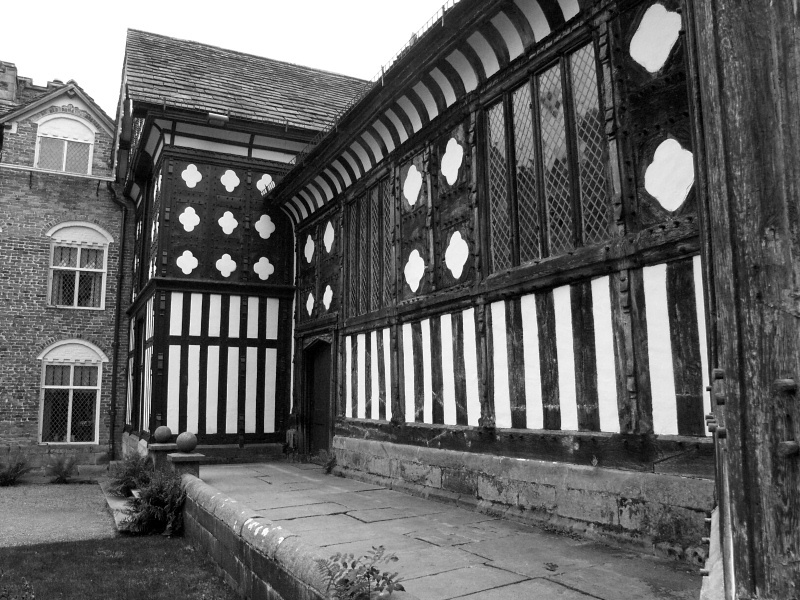 The Great Hall exterior can be seen in the centre photo and is the only part of the hall thought to survive from the original building by Sir Thomas Hesketh. 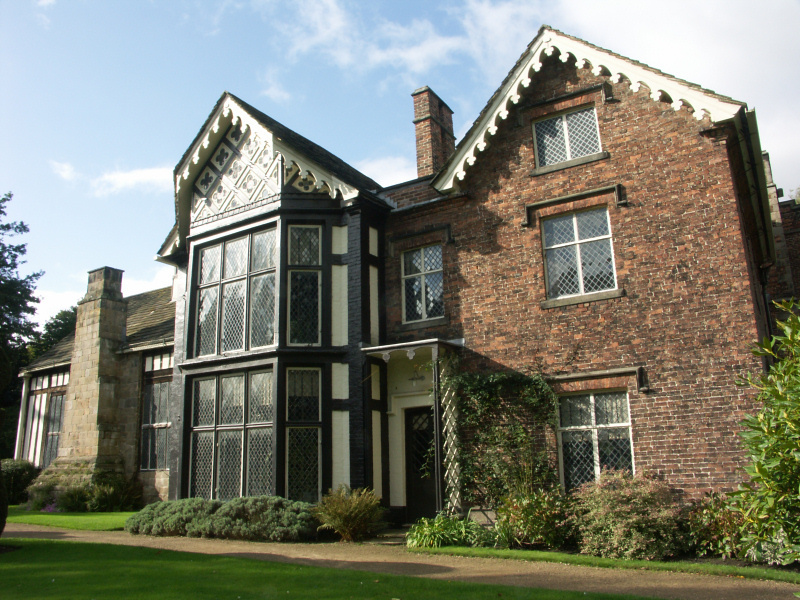 Many historic properties are said to be home to ghosts and Rufford Old Hall is no exception with a reputed three ghosts haunting the grounds: a Grey Lady thought to be Elizabeth Hesketh awaiting the return of her husband from an overseas war, a man dressed in Elizabethan clothes and Queen Elizabeth I who has been seen in the dining room at the hall.